I enjoy working with my patients and making them feel comfortable by answering all of their questions and providing a positive atmosphere. Most of the time, I can be found assisting Dr. Morse in the clinic and preparing patients for their procedures. Dr. Morse is a highly professional dentist, competent, and a good communicator. He respects all of his staff and patients alike. We all work as a team to provide the best care to our patients. Everyone has a positive attitude, which makes a nice, friendly, and comfortable atmosphere. I graduated from the Medical Institute in Russia in 1975 and worked for 24 years as a medical doctor before moving to the US. My husband and I enjoy traveling around the world, staying fit, watching movies, and attending the theater and ballet. 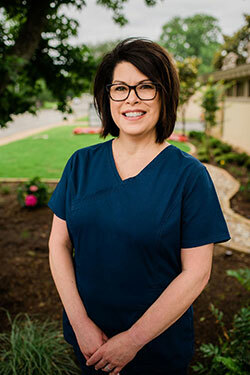 I have been a registered dental hygienist for 24 years and have been with Dr. Morse for the past nine. I want to make every dental experience the best it can be. I love getting to know our patients, making them feel comfortable, and educating them on their oral health. I have a great relationship with all our staff members and consider them to be a part of my family. Our patients are always welcomed with a friendly face and smile all the way from reception to the clinical area. My husband and I have two grown children, a son and a daughter, as well as two lab mix puppies named Mia and Daisy. They are spoiled just as much as our kids. I love bike riding, walking my dogs, snowmobiling, ice skating, gardening, quilting, and scrap-booking. I was born and raised in Wisconsin and actually enjoy the snowy winters and all the outdoor activities that accompany them. My main focus is the business administrative duties. I am always available to help out in the front office or with clinical duties in the treatment rooms. Witnessing how happy a patient is after treatment and seeing their smile is my favorite thing about working in dentistry. Dr. Morse is such a caring doctor who spends time listening to his patients’ needs. I respect the quality of work he provides and his ethics in practice. Our team really cares about our patients, and we love to have fun. Laughter is heard in our office all the time. My husband and I have been married for 40 years. Our daughter has blessed us with a grandson and our son has blessed us with a granddaughter. Our weekends are filled with watching their sport activities. In my free time, I enjoy fitness activities, reading, and am a member of St. Joseph's Catholic Church. I have worked in dentistry for more than 25 years as a Registered Dental Assistant. At our office, you may find me greeting patients, checking patients in and out, answering phones, verifying insurance, scheduling appointments, and taking care of accounts receivables and collections. 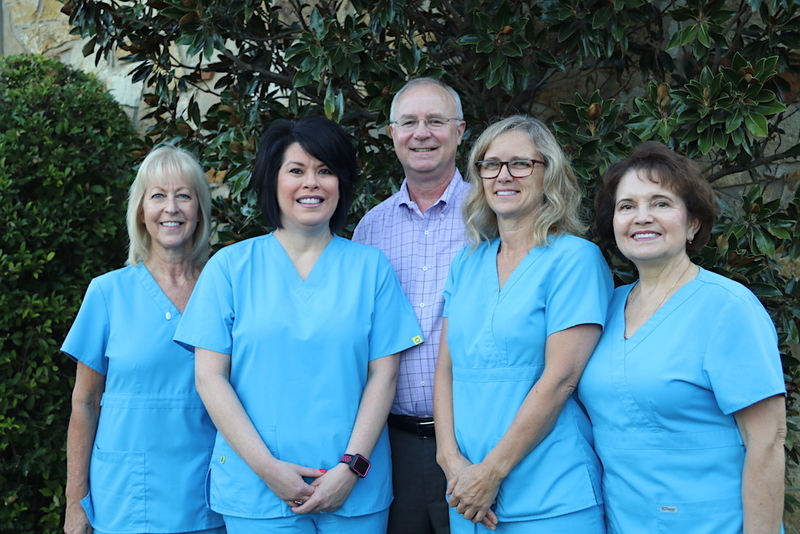 The best part of working here is getting to know our patients and being a part of our dental team. We all get along so well and everyone believes in working as a team, so it makes each day a lot of fun! I am married to my high school sweetheart of 32 years. We have two adult children and a five-year-old granddaughter. When I have free time, I love traveling, going to the gym, and hanging out with my friends. I absolutely love my job! My favorite part is interacting with patients and helping them feel at home in our office. I really enjoy working with Dr. Morse. He's very kind and compassionate with his staff and patients. Most of the time you will find me assisting our amazing hygienists. Our office works great as a team and treats each other with respect, like family. We love to laugh with each other while still providing excellent care to our patients. I am currently going back to school to further my education and in my spare time I enjoy the company of my long time boyfriend, Joe. We love camping, boating and fishing. I also have a huge heart for anything furry and would rescue every animal if I was allowed. We have three rescues of our own named Bellavita, Aussie and Momma. When I 'm not trying to save the world, I enjoy the company of my family and especially my dad.